Download the 2015 LaborFest Program Guide Here! 2015 DC Labor FilmFest trailers now available on our YouTube Channel! "The DC Labor Fest – sponsored by the Metro Washington Labor Council and supported by numerous other labor and social justice organizations — provides a forum for numerous forms of cultural productions with a focus on working people that is rare in our corporate-driven culture industry," writes Kurt Stand in The Washington Socialist. "The films, music, art and walking tours open a window on the experiences, ideas, aspirations of individual workers and of their collective struggles. 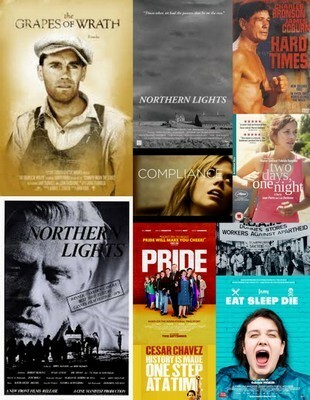 Two film events shown on successive evenings, May 11 and 12, speak to the larger achievement of the festival as a whole." Click here to read the whole report. 3/26: 2015 DC Labor FilmFest trailers now available on our YouTube Channel! 2015 DC Labor FilmFest Main Line-Up Released! AFI screenings; stay tuned for additional screenings at the AFL-CIO. All screenings at the American Film Institute, 8633 Colesville Road, Silver Spring, MD; tickets will be available online in April; stay tuned for details! Organized and presented by the Metropolitan Washington Council of the AFL-CIO, the Debs-Jones-Douglass Institute and the AFI Silver, the DC Labor FilmFest features a wide-ranging selection of films about work, workers and workers’ issues.